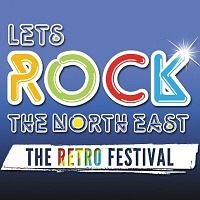 Let's Rock The North East was established in 2018, part of the "Let's Rock" '80s brand. The 2019 line-up is to be announced. 2018 featured: Tony Hadley, Kim Wilde, ABC, Heaven 17, Midge Ure, Nick Heyward, Go West, Nik Kershaw, Five Star, The Real Thing, Altered Images, Modern Romance, Hazell Dean, Fuzzbox, Bow Wow Wow's Annabella, Brother Beyond, Peter Coyle Ex Lotus Eaters, Black Lace's Conga Party and more.